Having three big meals a day might work for some people, but for most of us it’s better to have smaller meals and snacks in between to keep our energy up throughout the day. With the amount of pre-packaged snacks available in every shop and on every corner it’s easy to slip into bad habits and snack on chocolates and chips, but we know that it’s not good for our health, or energy and our general well being. So to keep the temptation away, we compiled a list of healthy snacks, some homemade and some store bought, that you can bring with you to work. 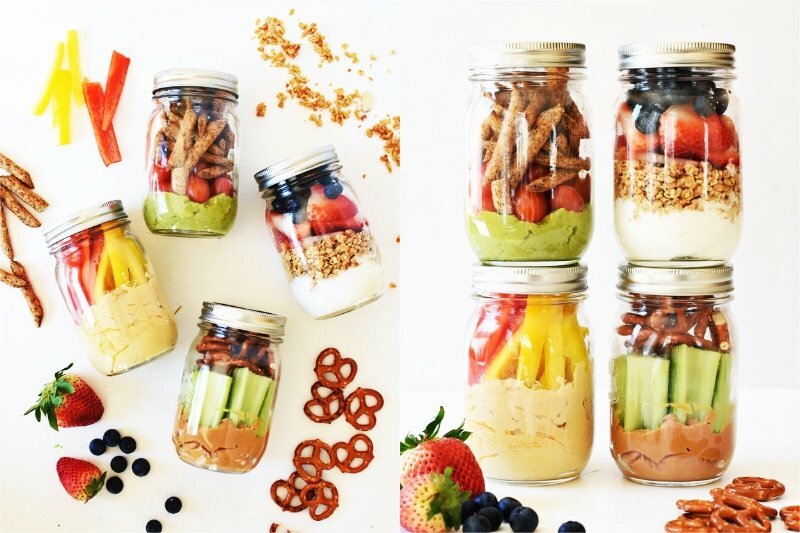 These easy grab and go snack jars are a lifesaver for those of you who just needs to snack throughout the day and will eat anything they find. So instead of grabbing that cookie or a pack of chips you can prepare these snack jars ahead of time (it’ll only take a couple of minutes) and grab them from the fridge on the way to work. 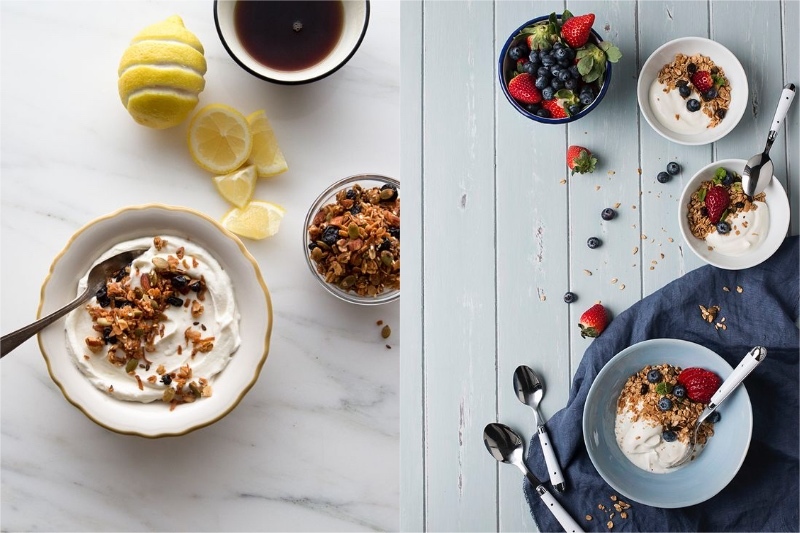 Another easy option is just having some yogurt with fruit. You can even buy both ingredients in the store next to work. The key here is to buy those two ingredients separately. Plain yogurt or maybe even a little tub of Greek yogurt and some fruit or berries. Don’t be a victim of advertising and don’t buy those sweet fruity yogurts – they’re just full of sugar and aren’t good for you.